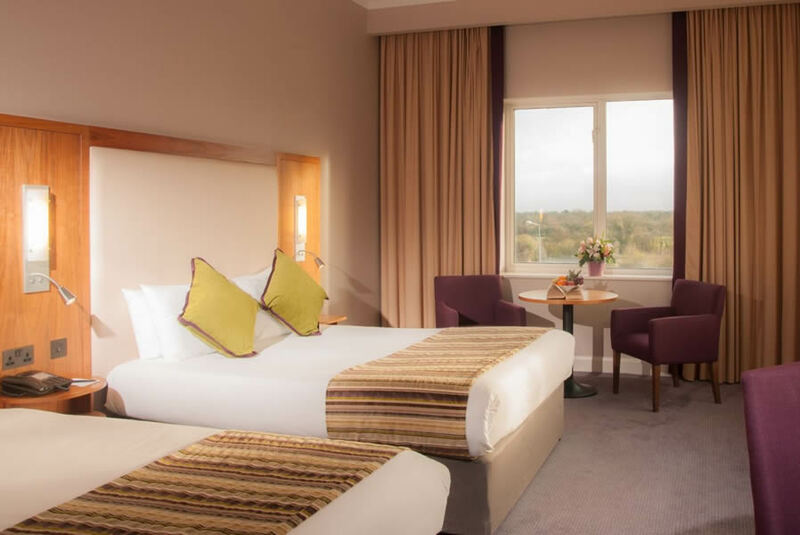 The Charleville Park Hotel is a modern and stylist four star hotel located in the heart of Munster and is the perfect base to explore Limerick, Cork and the Ballyhoura countryside. 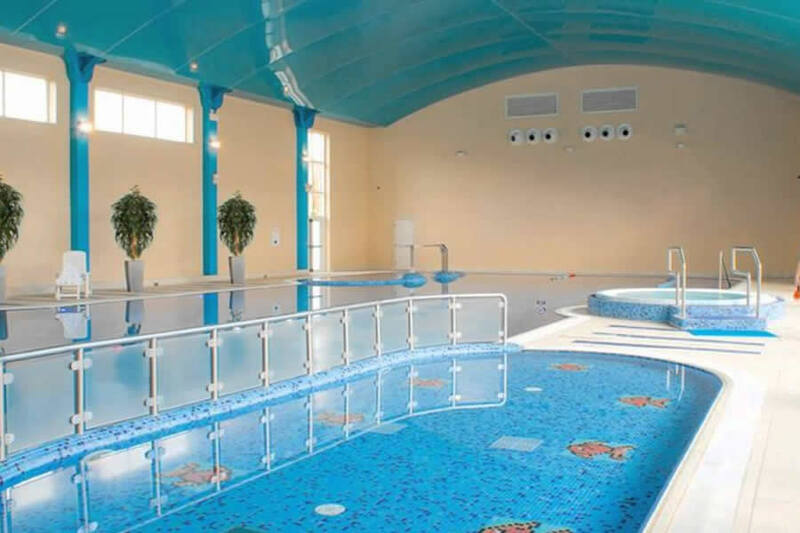 With extensive leisure facilities including kids pool, 25 m pool, sauna, Jacuzzi, steam room and well equipped gym, full bar and restaurant facilities and a host of local attractions - the Charleville Park Hotel is the ideal venue for a relaxing break. We offer complimentary kids club and kids movie nights throughout the school holidays. Located on the main N20 between Cork and Limerick â€“ from Dublin take the N7, signposted Limerick, at junction 18 continue forward on the M7 toll mototway, signposted for Limerick, leave the N7 at junction 30 then join the M20 motorway, signposted Cork, leave the M20 at junction 5 and merge into the N20. Located in the heart of Munster and in the Ballyhoura countryside the activities are endless. Take a family picnic to Doneraile Park or Liscarroll Donkey Sanctuary or enjoy the variety of walks or our world famous Ballyhoura Mountain Biking trails. Shopping in Limerick or site seeing in Cork, we are the perfect location for it all. 4 stars. wonderful receptionist. really clean room with a great view. pillows slightly hard for my liking. breakfast fantastic. would definitely recommend it, and would stay again if I was in the area. Had lovely 1 night break. Fabulous food, great room and friendly and efficient staff. We really enjoyed our break in the Charleville Park Hotel. Staff were extremely friendly and all our needs were fully catered to. Food was excellent!! We will certainly go back for another visit. Very good hotel, extremely clean and well maintained. Excellent pool and leisure facilities and the accomodation/leisure staff couldn't have been more friendly and helpful. Unfortunately this was let down by the bar whose appearance was so far away from the hotel we actually thought that it was run by a seperate company! We did let one of the hotel managers know and the saw a marked improvement the following day. One thing, maybe not hotel related, is that you will have to drive a bit to find something to do/eat and drink away from the hotel. My family & I stayed at the Charleville Park Hotel from 22nd April to 25th April 2014. We'd a very enjoyable stay, the beds were so comfy we didn't want to get up! The staff were very helpful & friendly. The pool was lovely & my kids spent many hours in it. All in all we'd a lovely time in this hotel & would recommend it. We'll be back in the future. Michele. We have just returned from the Charleville Park Hotel. It's a very relaxed hotel with great facilities. The children loved the pool. And the sauna and steam is the best I have used in a while. There was a children club in the hotel . We never used the facilities. Breakfast was full of variety for all tastes. Did not use the restaurant instead had the bar which was very nice. More mains is needed like the variety of starters. There is lots to do outside the hotel but you have to travel. But you get to see some great scenery along the way. Last but not least a big thank to the staff . Very friendly. Hope to return in the near future. We stayed three nights. Beautiful hotel. Lovely staff. Great facilities. Good food. I stayed in the Charleville Partk Hotel on Saturday, February 15. 2014. I would not agree with its 4 star rating. The staff on reception were lovely. The room was adequate. There was no milk with the tea/coffee facilities in the room. There was no shampoo in the bathroom. There was a nice separate show in the bathroom. We had dinner in the restaurant which was ok. The staff were lovely in the restaurant. The breakfast was poor. The hot food items ie. rashers, sausages etc. looked like they had been slopped into the containers they were in. We sat at a table and the waitress poured us a cup of tea and that was it. We had never experienced this before. When you sit at the table you are usually asked whether you want tea or coffee and then you get served a pot of tea or coffee. The tea was gone cold by the time we were ready to drink it. We had to find a member of staff and ask for a pot of tea when it suited us. My husband picked up a cereal bowl and it was dirty. We found that milk, cereal etc was not being replenished as quickly as one would expect. Definitely we could not understand how this hotel has a four star rating. I wont be rushing to this hotel again. Stayed here on the Saturday night of Valentines weekend, and have to say the hotel was excellent, as always. Staff all friendly and helpful, especially the girls in reception, food top quality, rooms always warm, clean and well maintained. Perfect spot for a romantic getaway. We really enjoyed our stay. The hotel was very busy and our room wasn't ready for 40 minutes and the pool was out of towels so we had to go back to our room and get some, but small complaints as the staff were very friendly and helpful, dinner and breakfast were excellent, and the pool is lovely. Nice hotel, clean rooms. Easy to find. Atmosphere a bit quiet during the week. Would recommend for a quiet night rather than a fun filled weekend. We really enjoyed our stay at the hotel and found the facilities and hotel overall to be of a very high standard. The staff were also very friendly and helpful. Overall we had an enjoyable stay.The leisure centre is excellent & relatively new(around 5 years old).The second double bed in the family room was a bit small for our 9 year old twin girls.The evening meal was a bit disappointing,though my steak was really nice.The menu was limited,even for kids.Breakfast was good,self service & catered for all tastes,continental/full Irish. Fantastic hotel. Fabulous food. Chocolates on bed and water in rooms such a lovely touch. Definetly go back again. Highly recommend this hotel. Very nice hotel. However in need of some light maintenance. Rooms clean and spacious. Food very nice and good variety. Bar in need of some leadership. Did not avail of leisure club facilities. The location was well equipped. The rooms were clean and the leisure club ok. The nice stay was disturbed by a Wifi-access that asks frequently for a registering at facebook what was cumbersome. The breakfast was ok as well but on the last day an ordered tea was just forgotten by the staff. Staff very friendly and helpful ,especially with children. Rooms were spotless,beds comfortable. All facilities available to keep you and your children entertained if the weather's poorly . BREAKFAST i have been in quite a few hotels,but never have i seen as wide a range as here.In a word FABULOUS. Nice hotel. Food and service very poor. Room was at the front of the hotel and there was a lot noise from the road. Ate in the hotel the first night. Steak was tough and the veg was barely cooked. Hotel has great potential but lacking leadership. Stayed for 2 nights with breakfast and dinner included in the cost. When we arrived our family room had been upgraded to 2 adjoining rooms, free of charge! The staff were so nice, friendly and helpful. With the heat we did ring reception for a jug of water and ice on the last night of our stay. We ended up having to call 3 times and eventually received the water after 2 hours wait. Other then that I cannot fault! Great acitivities available for children also. Pool is very clean which is always a bonus. Rooms were really clean. Would definately return. A family of 4 stayed in this hotel for 2 nights bed and breakfast, friendly and helpful receptionist met us on arrival, room was clean, bed comfortable but no air conditioning in the room which was badly needed. Swimming pool was a good size, although the area around the pool could do with a lick of paint. A good choice of breakfast was had by all each morning from a full irish to fresh fruit or cereal. Ed's bar was in need of 'brightening up' as it was quite dark, didn't feel or look the cleanest, area could well be improved on. Would stay again if in the area. Great value, convenient location, nice friendly staff, the room was quite large and the five of us stayed there in comfort, the real highlight of stay was the pool/ leisure centre which was very warm, clean and great for kids, would highly recommend this hotel for an affordable yet quality experience. Charleville hotel is a very nice place to stay. We stayed in last october and visit again this febuary because we attended an assembly at the hotel. The staff are very helpful and the breakfast is superb. Good for family to stay for a break. I will visit again and highly recommended to others. This is an excellent hotel. The staff are so friendly and helpful. I would not hesitate.in recommending this hotel to anyone. Really enjoyed our stay.The family room was lovely very clean. Beautifull swimming pool, Child friendly hotel. Welcoming efficent staff. We stayed here for New Years Eve. The hotel is lovely and the rooms are really spacious. The pool area is lovely and clean and really modern. The children really enjoyed it. The food both in the bar and the restaurant was lovely. There were 13 of us staying and everyone enjoyed it. I did have a small complaint and that was to do with the service. The staff were lovely and very friendly but no-one seemed to know what they were doing. If we ordered a drink we got it 2 maybe 3 times, on new years eve there was one girl left behind the bar from about 11 o clock on her own. The bar was full and there was a 30th birthday party on. The poor girl hadn't a chance. Overall it was a lovely break. We would stay again. we enjoyed our 2 days stay in Charleville Park Hotel. The staff were very friendly, rooms were neat, services superb. Rooms are well-heated, we had a nice time. Will deifnitely recommend to my friends and colleagues! Great location. Spacious room. Very friendly and helpful staff. Delicious food. We will definitely be back. Excellent break, food, heating and everything perfect. marks 10 out of 10.
it could be accorded more attention towards cleaning. overall i don't think 4 stars, more like 3 stars. friendly staff, nice to kids, but i think recession hits everyone, including this hotel. few fixtures need to be replaced or fixed. Really nice hotel with a great leisure centre for guests to use. Staff are incredibly friendly and helpful, rooms were very comfortable and the food was good. All is all, we would highly recommend this hotel and will come back in the future. 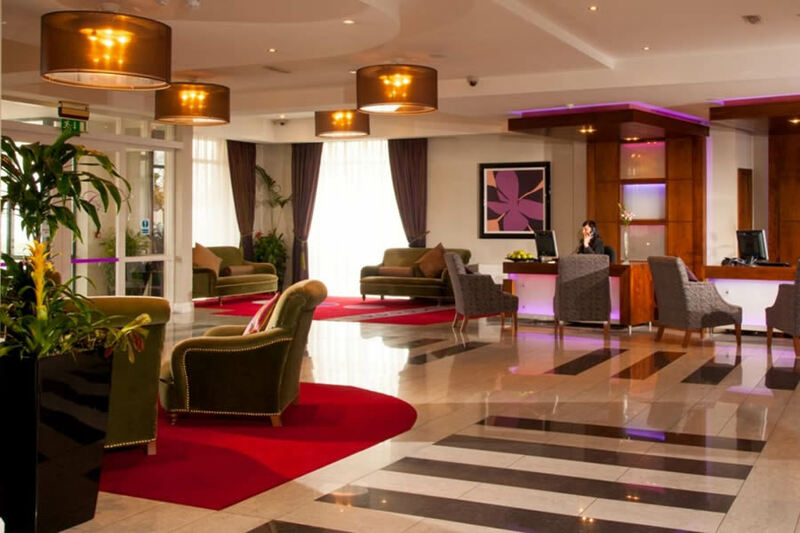 The Charleville Park Hotel is a very nice place to stay. The staff are very helpful and accommodating. Breakfast is really good, nicely cooked. Would highly recommend. hi i just just came back from a short say in the charleville hotel .The hotel is fab the only thing a bit too warm they had no heating on but the rooms were like sleeping in an oven . We did say it to them and they gave us a fan for the room but the fan we couldn't use as it made so much noise no of us would get any sleep there was only two blades in the fan instead of three .The staff is very friendly especially in the bar and reception they couldn't do enough for you. There would be a few issues i would have the tea and coffee is stored in the wordrobe not out for u to see it i didn't think it was available to us but during our first night when i couldn't sleep i went looking and found it . we were given 1 mug and 1 spoon and there was 3 of us in the room .when i said it the next day the girl at reception said she would get it sorted straight away but we had to ask again at 4 o clock for the mugs .we basically waited half the day to make a cuppa in the room i wasn't happy with this. the next day when they did the room up we got no refill of tea or no bottles of water in the room again half the evening waiting for bottles of water to be brought up but a lovely lad from the bar brought it up to the room for us and said that should have been done straight away when we asked .one the morning we were leaving we received toast that was bluemoulded i was not happy at all with this for a 4 star the standard and serves of the restaurant and house keeping should have been a lot better .the food in the bar was brillant but the breakfast needs improvement especially the hot breakfast we were down each morning in and around the same time but the first morning breakfast was cold 2nd morning it was so so but on the monday it was very hot i couldn't understand how the standard be so different considering it was the same chef on each morning .it is a self service buffet with i have no problem with but they are not suitable to hold large amounts of food at anyone time and keep the hot to have to keep checking them for temp and keep refreshing them in order to keep things hot .other than all of my issues we did enjoy my stay in charleville park but i feel they do need to improve on a few things . Had a really great time at the hotel, friendly staff and the breakfasts were fab, thanks for a lovely stay Sharon, John and Matthew naughton ,Galway.